In roles where women are already over-represented but poorly paid, and with little or no social protection, we must make those industries work better for women. For example, a robust care economy that responds to the needs of women and gainfully employs them; equal terms and conditions for women’s paid work and unpaid work; and support for women entrepreneurs, including their access to finance and markets. Women in the informal sector also need their contributions to be acknowledged and protected. This calls for enabling macroeconomic policies that contribute to inclusive growth and significantly accelerate progress for the 770 million people living in extreme poverty. Addressing the injustices will take resolve and flexibility from both public and private sector employers. Incentives will be needed to recruit and retain female workers; like expanded maternity benefits for women that also support their re-entry into work, adoption of the Women’s Empowerment Principles , and direct representation at decision-making levels. Accompanying this, important changes in the provision of benefits for new fathers are needed, along with the cultural shifts that make uptake of paternity and parental leave a viable choice, and thus a real shared benefit for the family. In this complexity there are simple, big changes that must be made: for men to parent, for women to participate and for girls to be free to grow up equal to boys. Adjustments must happen on all sides if we are to increase the number of people able to engage in decent work, to keep this pool inclusive, and to realize the benefits that will come to all from the equal world envisaged in our Agenda 2030 for Sustainable Development. 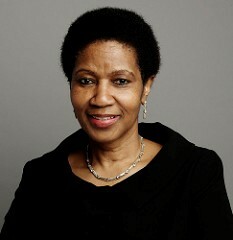 Phumzile Mlambo-Ngcuka is United Nations Under-Secretary-General and Executive Director of UN Women. She brings a wealth of experience and expertise to this position, having devoted her career to issues of human rights, equality and social justice. Ms. Mlambo-Ngcuka has worked in government, private sector and civil society and was actively involved in the struggle to end apartheid in her home country of South Africa. From 2005 to 2008, she served as Deputy President of South Africa, overseeing programs to combat poverty and bring the advantages of a growing economy to the poor, with a particular focus on women. Prior to this, she served as Minister of Minerals and Energy from 1999 to 2005 and Deputy Minister in the Department of Trade and Industry from 1996 to 1999. She was a Member of Parliament from 1994 to 1996 as part of South Africa’s first democratic government. Ms. Mlambo-Ngcuka began her career as a teacher and gained international experience as a coordinator at the World YWCA in Geneva, where she established a global program for young women. She is the founder of the Umlambo Foundation, which supports leadership and education. A longtime champion of women’s rights, she is affiliated with several organizations devoted to education, women’s empowerment and gender equality. She has completed her PhD on education and technology at the University of Warwick, United Kingdom.